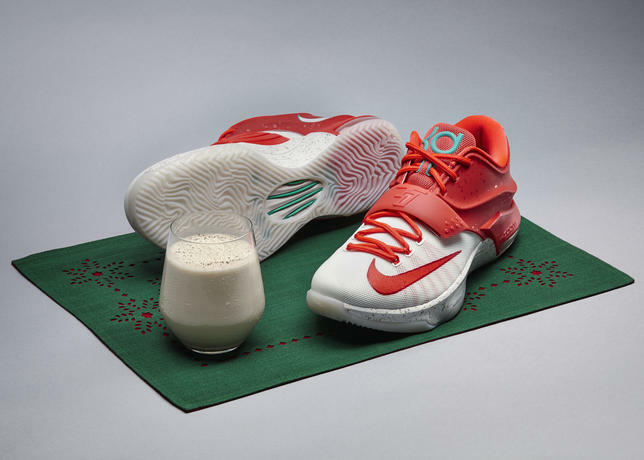 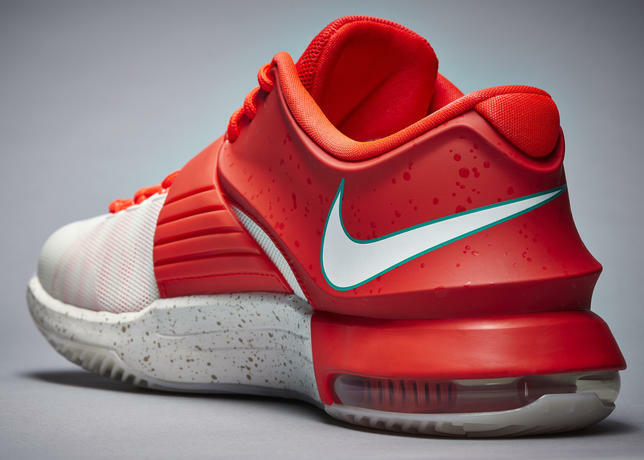 Nike Basketball’s signature athletes Kobe Bryant, Kevin Durant and LeBron James will celebrate Christmas on the court with festive kicks that tell unique holiday stories. 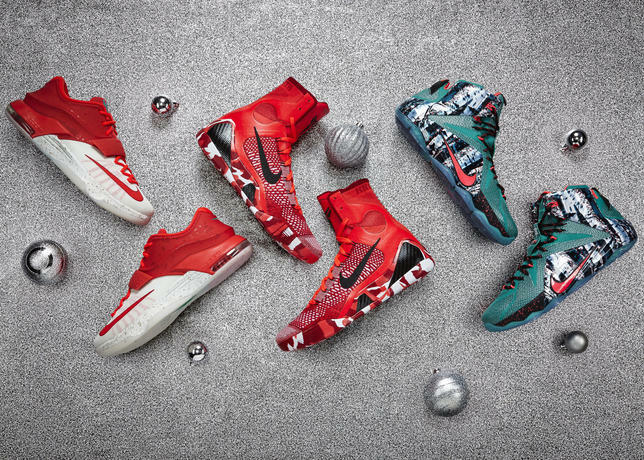 The Nike Basketball Christmas Collection features the triumvirate of signature kicks: Bryant’s KOBE 9, Durant’s KD 7 and James’s LEBRON 12. 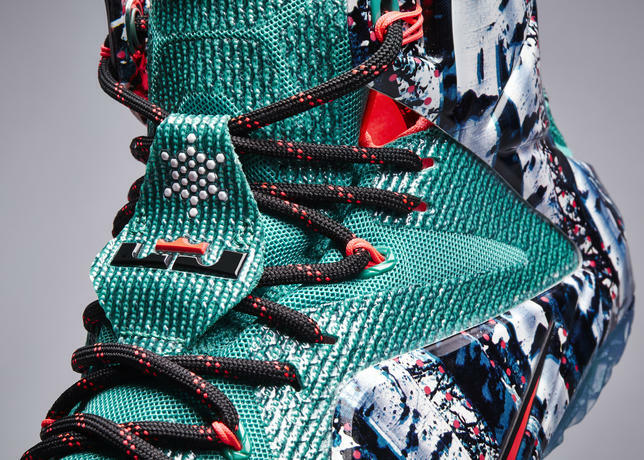 Designed to the specifications of Bryant’s fluid style of play, the KOBE 9 is the first basketball shoe to feature Nike Flyknit technology. 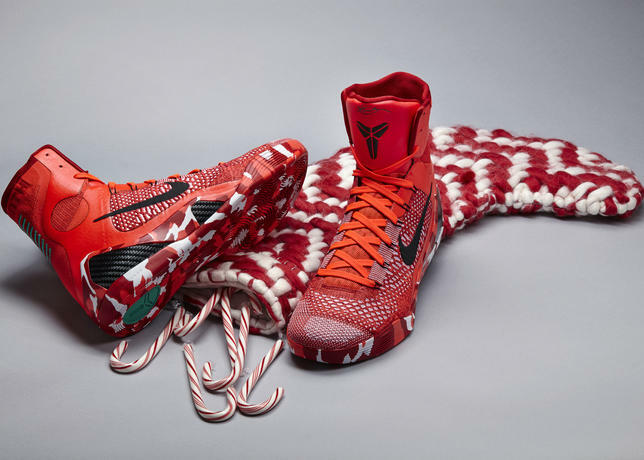 The KOBE 9 gets a festive makeover highlighting its knitted aesthetic with a red and white Flyknit upper, taking inspiration from a knit stocking. 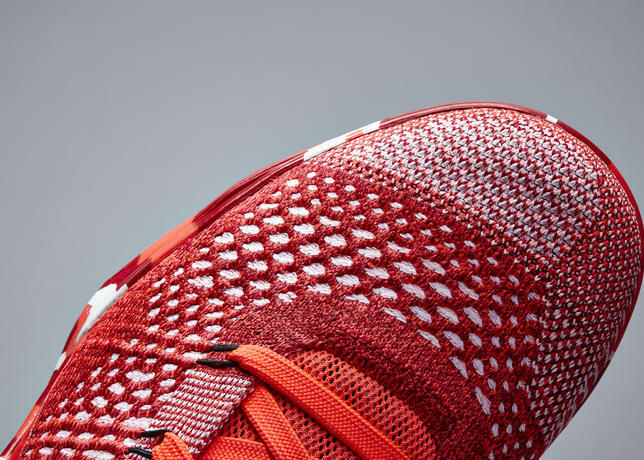 Supple leather textures on the tongue and overlays give the shoe a premium feel, accented by a marbled outsole resembling candy canes. 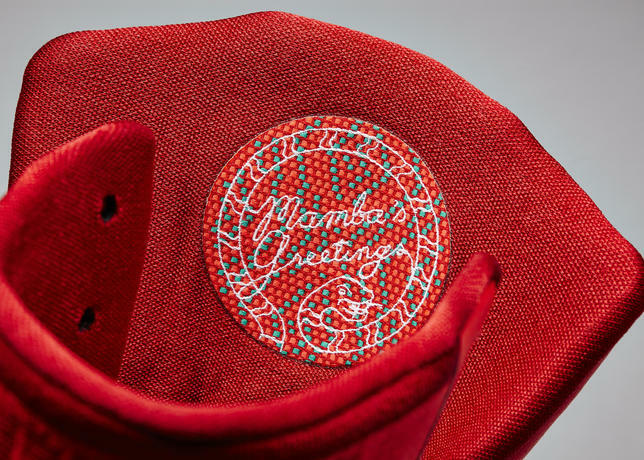 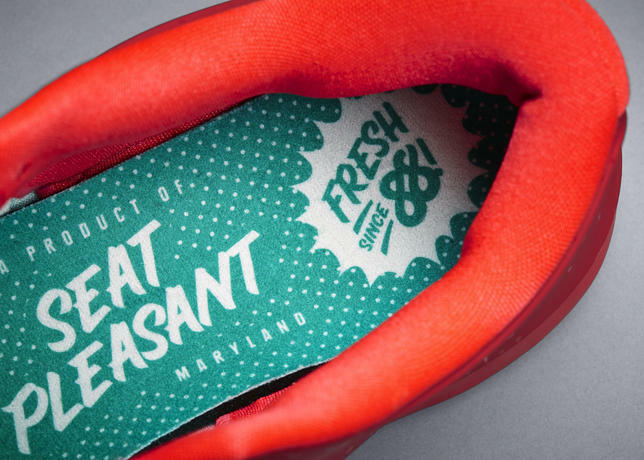 Inside, the shoe reads “Mamba’s Greetings,” a hidden detail from Bryant on the inner tongue. 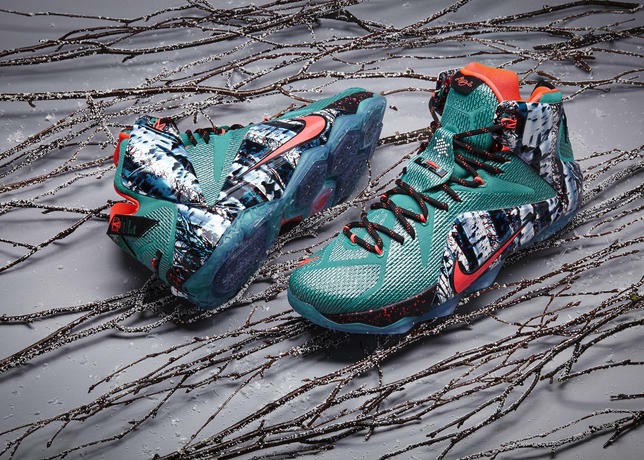 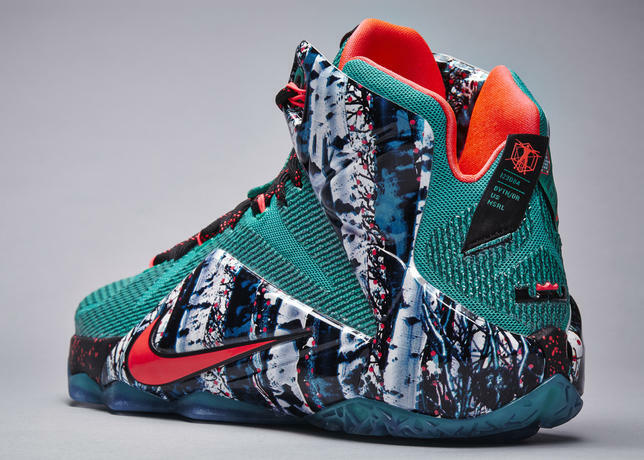 The 2014 Nike Basketball Christmas Collection is available globally Dec. 26 on nike.com and at select retail locations.